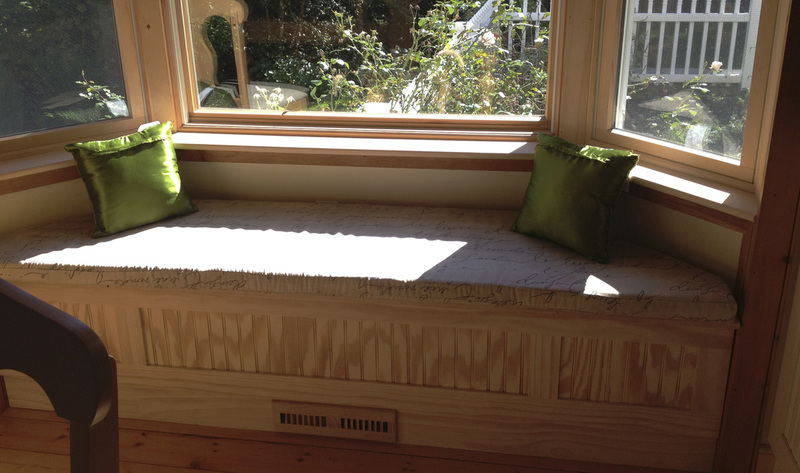 We were surprised and pleased to be contacted by homeowners in the state of Delaware regarding a custom window seat for their dining room. Working with the clients to obtain measurements and details, we were able to create the perfect addition to their space. The client even shipped us the material for the seat cushion so that all that the only thing the client needed to do, after receiving the freight shipment, was install and enjoy!